Spring is in the air with its fresh breeze of renewal and whimsy. Everything is shiny and young again! The season brings along its magical twist to the Rainbowverse and sends everyone, young and old, back to a colorful world of toys. 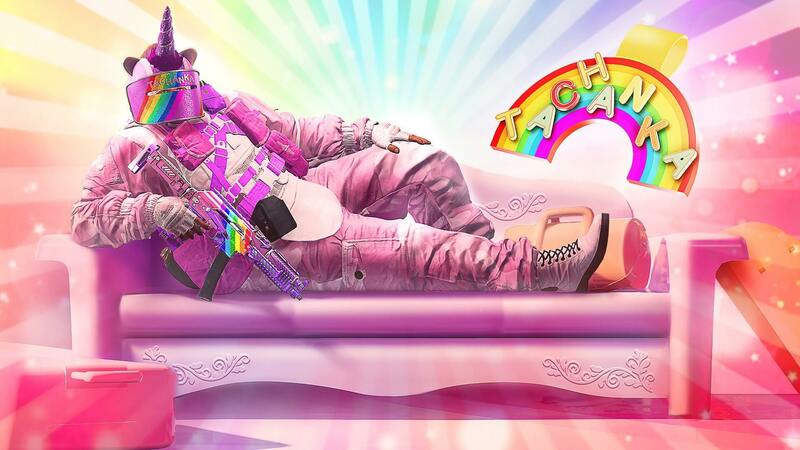 WELCOME TO OUR LATEST IN-GAME EVENT: RAINBOW IS MAGIC! From April 1st to 8th, you’ll be given the most important of missions: rescue the VIP teddy bear, our Very Important Plushie, held inside the toy-sized Plane! 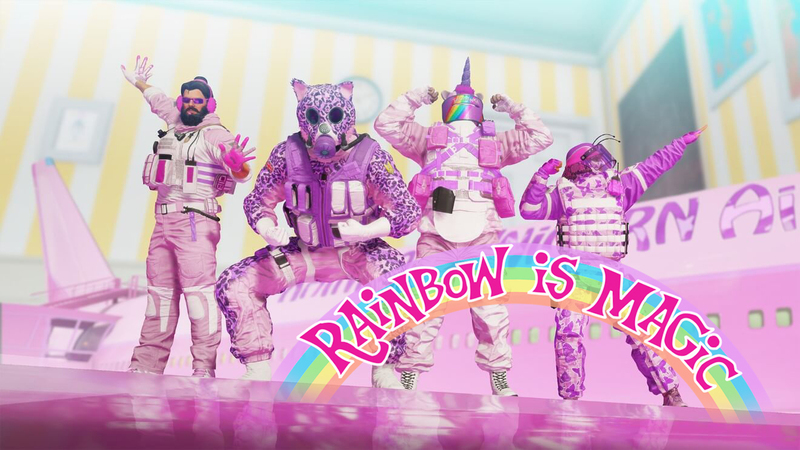 For this critical task, choose among 4 hand-picked Operators who will “blend” into this sparkly environment wearing their plushie outfits to get the job done: Blackbeard and Montagne as attackers, Smoke and (of course) Tachanka as defenders. That’s not all! You can also pick from nine proud toy soldiers to complete your dream squad: Ash, Thermite, Thatcher, Sledge, Castle, Kapkan, Bandit, Frost, and (of course) Recruit! We are also introducing 17 exclusive items (with guaranteed no duplicate drops) that are all about toys, unicorns and… tactical cuteness! Including full BDUs and headgears for: Smoke, Lord Tachanka, Montagne and Blackbeard. Log in during the event to get your free Rainbow is Magic Collection Pack and earn more as you play by completing Ubisoft Club Challenges. You will also be able to purchase packs for 300 R6 Credits. Don’t miss your chance to strike poses for some magical, world-class memes. Go forth and cause mayhem dressed as a rainbow unicorn. For more information, check out our website[rainbow6.com] or follow us on Twitter to get the latest updates on the event. Kompletter Artikel: RAINBOW IS MAGIC!